Hi everyone! 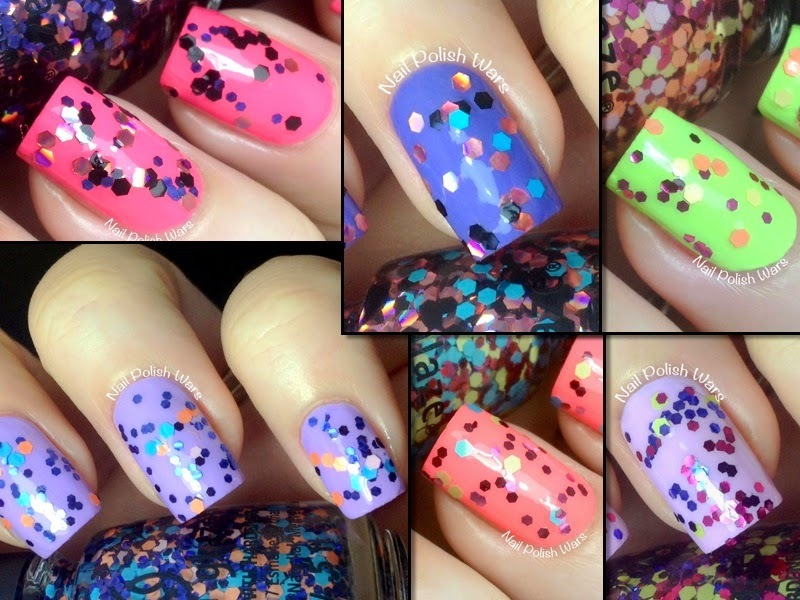 I have the new Surprise Collection from China Glaze for you today! 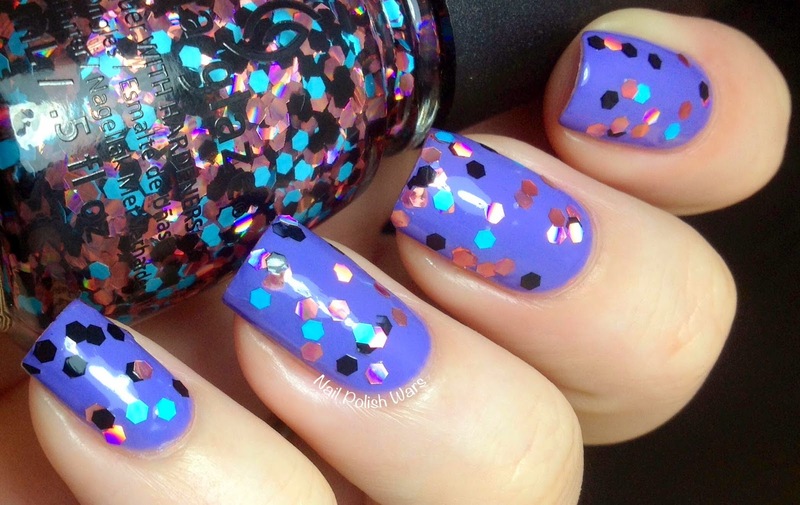 Create a Spark is a clear coat loaded with pink, periwinkle, and black hexes. The formula was smooth and easy to apply. I really liked this one a lot! The color scheme is great for almost any base color! Shown is one coat of Create a Spark over China Glaze Peonies & Park Ave.
Don't Be a Flake is a clear coat loaded with pink, black, and sky blue hexes. The formula was smooth and easy to apply. I love how well the sky blue glitters pop in this one! 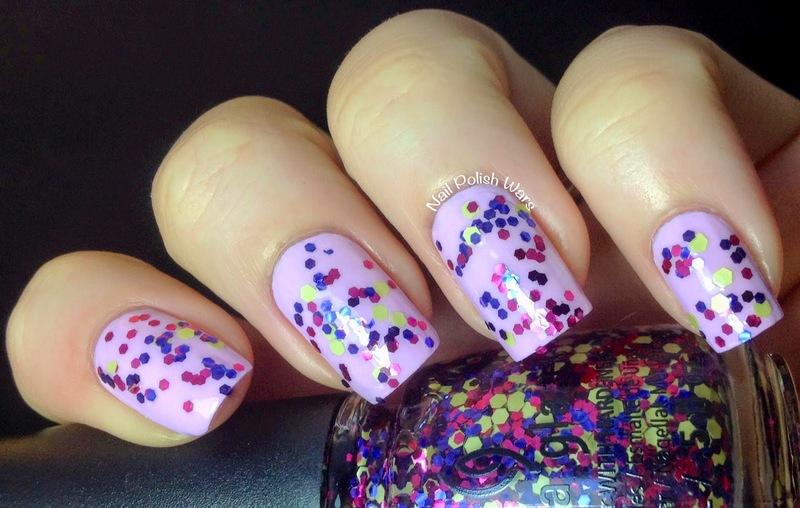 Shown is one coat of Don't Be a Flake over China Glaze What a Pansy. 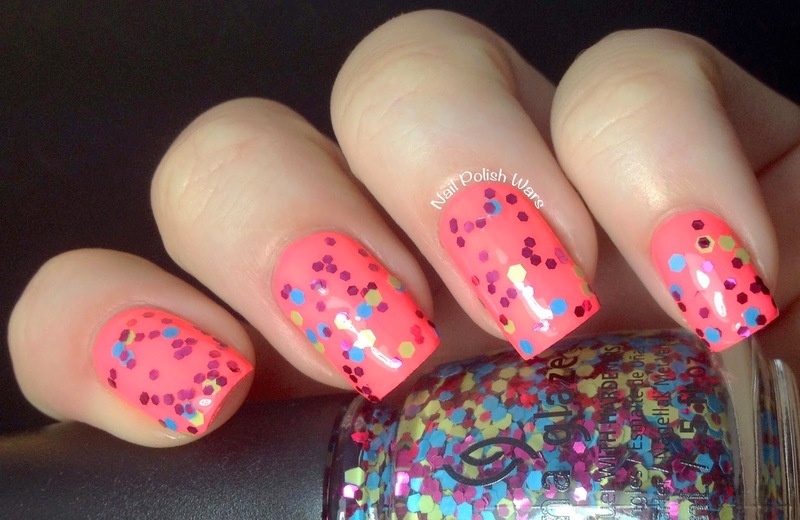 Glimmer More is a clear coat loaded with pink, light yellow, peach, and fuchsia hexes. The formula was smooth and easy to apply. I love the fruity feel of this one! 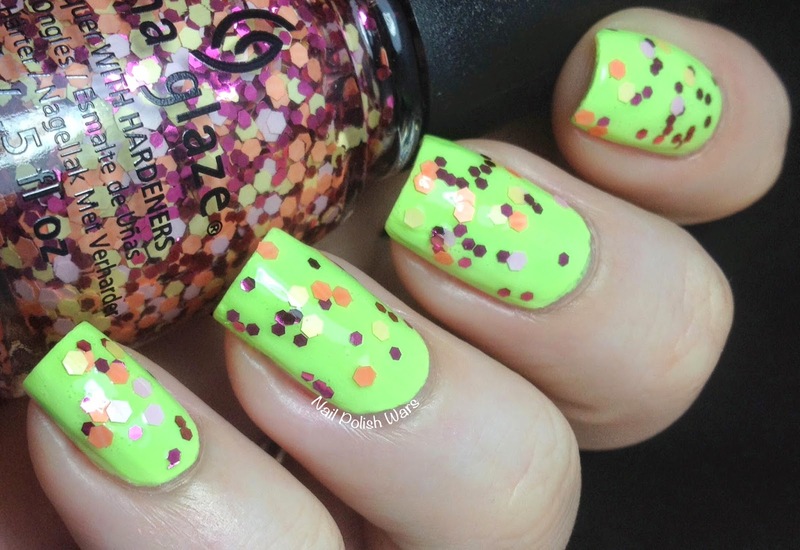 Shown is one coat of Glimmer More over China Glaze Grass is Lime Greener. 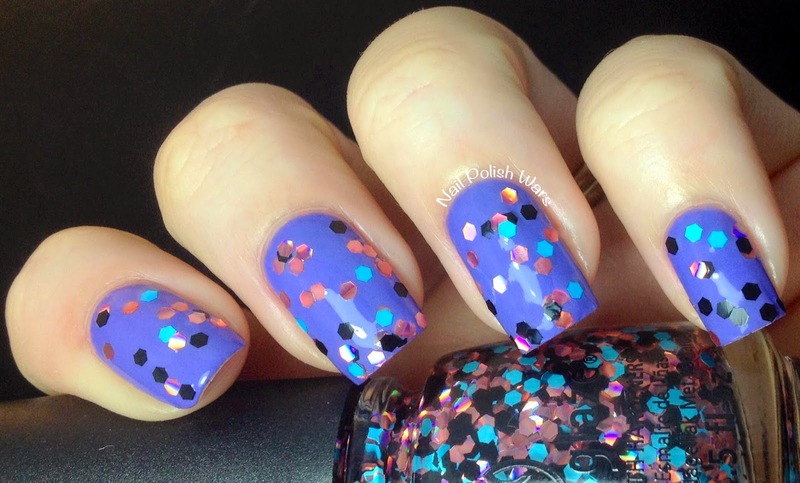 Glitter Up is a clear coat loaded with blue, peach, and light blue hexes. The formula was smooth and easy to apply. 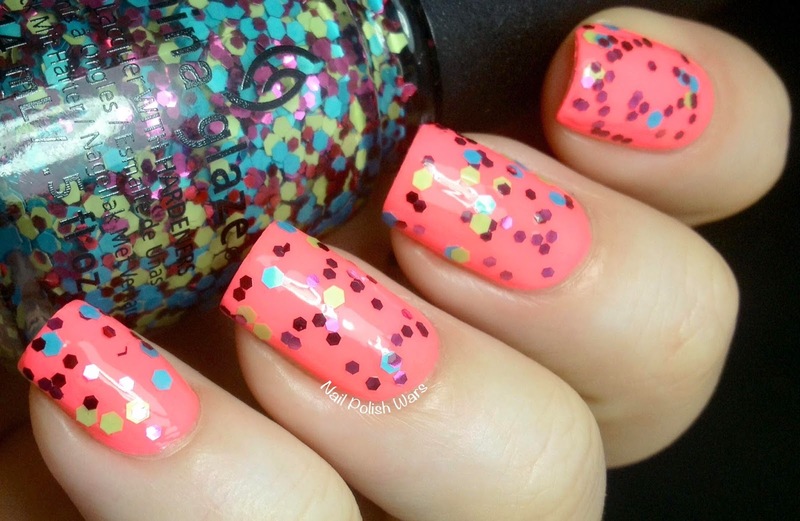 I like these glitters together very much! It's a lot of fun to wear. Shown is one coat of Glitter Up over China Glaze Lotus Begin. 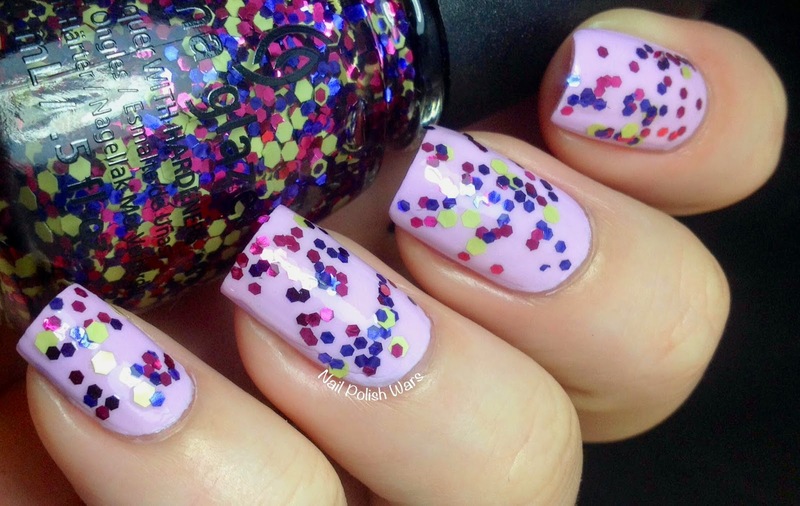 I'm a Go Glitter is a clear coat loaded with light blue, light green, and fuchsia hexes. The formula was smooth and easy to apply. For some reason I think this one would be so cute to wear to the beach! 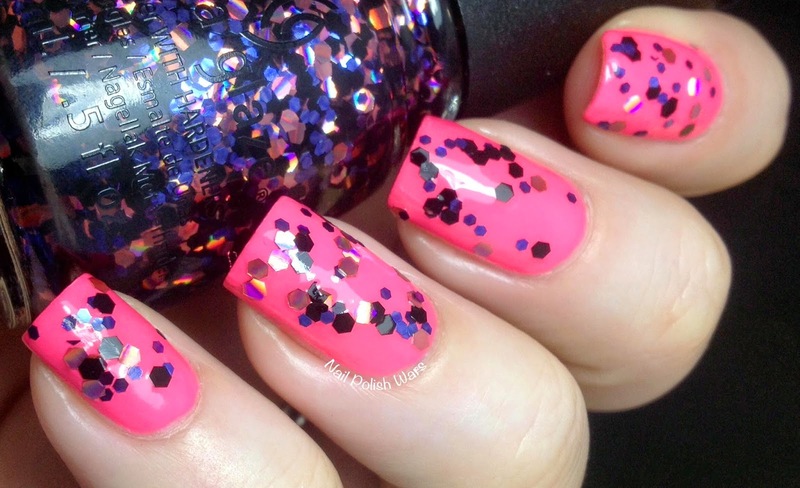 Shown is one coat of I'm a Go Glitter over China Glaze Petal to the Metal. Shine-nanigans is a clear coat loaded with light green, periwinkle, and fuchsia hexes. The formula was smooth and easy to apply. I love this one! The light green hexes really make it pop! Shown is one coat of Shine-nanigans over China Glaze In a Lily Bit. I really like these glitters a lot! They're all such fun to wear! I was thisclose to picking these up at Sally's this weekend. Now I wish I would have! 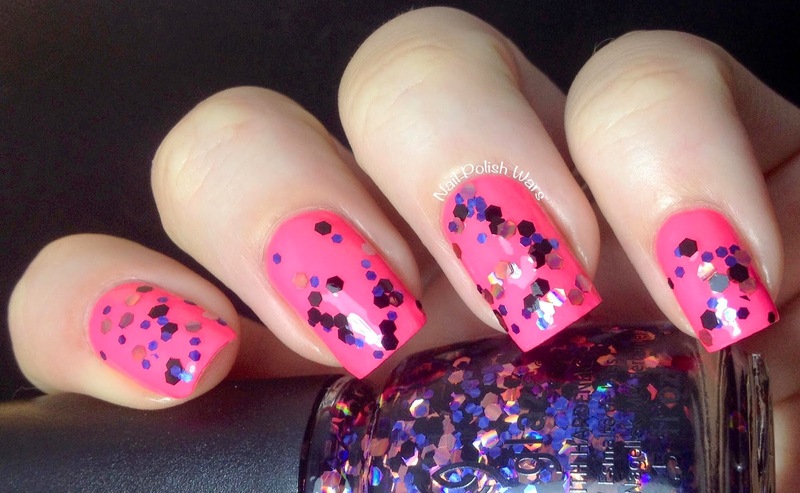 These are some fun looking glitters. I like how light in color there are too. some of these color combinations are awesome, but they're so sparse! Oh, no, hexagonal flakes... OMG!